If you or a female family member have prominent or protruding ears then you will understand what a source of great embarrassment and mental anguish it can be. At Wentworth Clinic we have performed countless life-altering, and highly successful ear reshaping (Otoplasty) and ear correction surgeries for our female patients of all ages. Otoplasty, also known as ear correction, ear reshaping, and Pinnaplasty (ear pinning) is a surgical procedure to correct the shape, size and contour of the ears. Performed under local or general anaesthetic (depending on the complexity of the procedure) at both our London and Bournemouth clinics, our ear correction surgery is suitable for adults as well as children over the age of 5 or 6 (when ear growth is almost complete). Professor Ilankovan, a gifted Otoplasty surgeon, has vast experience in successfully performing ear correction procedures for children as well as women with protruding ears where the deformity has been present since birth. More complex surgeries for other congenital ear deformities may require extensive multi-stage treatment which can be discussed with Professor Ilankovan. During your initial consultation with the ear surgeon, we will discuss treatment options, review your medical history and ensure you understand realistically what is possible from ear reshaping or ear pinning surgery. We will explain the procedure, let you know what to expect prior to and following your treatment, and we will be here to answer any questions you may have throughout the treatment process. 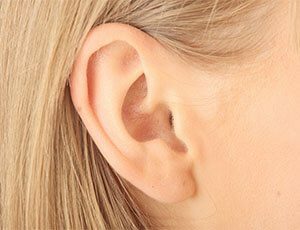 If you would like to further investigate your options for ear correction surgery for women at the Wentworth Clinic in London or Bournemouth then please call us on 01202-428773, or complete our online contact form and one of our experienced Wentworth Clinic staff will respond to your enquiry. Take a thorough medical history and perform an examination. Discuss realistic expectation of final outcome. Advise on anaesthesia and the ear correction procedure. Ensure you understand any risks or complications that could arise. Generally, we will take photographs before and following surgery. A basic procedure involved an incision made at the back of the ear to expose firm pliable tissue called cartilage. The surgeon may either fold down the cartilage or use sutures to keep the folds together or remove excess cartilage. After reshaping the cartilage, the incision are closed with small sutures and the ears are covered with bandages. The procedure can take up to 2 hours or more depending on complexity of surgery. Pain related to the surgery is minimal to moderate and is controlled with oral medication. Bandages are removed within a few days but may be replaced with a lighter head dressing. Wearing a tennis headband for a period for time to hold back the ears may also be recommended. Bruising will fade within a few weeks. Temporary swelling can be alleviated by keeping the head elevated when reclining. Patient may be advised to sleep on a soft pillow (not directly on the ears). 6 to 8 days after surgery patient may be able to wash their hair. Scars from incisions will fade significantly over time, and for the most part will be inconspicuous due to their location within the creases of the ears. Normal activities can be resumed as determined by the surgeon and based on the extend of surgery and patient healing progress. Every year thousands of ear correction surgeries are successfully performed. Occasionally a second procedure may be necessary if an ear begins to protrude again. Your head should be elevated by 2 or 3 pillows to 45 degrees for 3 or 4 days. This will help with swelling and enhance healing. Take antibiotics and pain killers as prescribed. A head bandage is usually worn after the surgery until the stitches are removed. You will be informed about the timing for this. Once the dressing has been discarded, it is wise to wear a protective head-band or bandage when sleeping to avoid the ears being bent forward against the pillow. Sometimes the dressing can chafe the ears to produce a break in the skin which can take a while to heal. The ears are often sore and tender for several weeks and painkilling medication such as Paracetamol or Codeine may be required. Other drugs such as Aspirin or Nurofen can occasionally cause unwanted bleeding following the surgery and should be avoided. A small amount of blood may ooze post-operatively. This is quite normal. However, in the unlikely event that heavy or persistent bleeding occur, please telephone for advice immediately. The ears are often a little numb after the procedure and this usually takes several weeks to settle. Infection is rare, but should this occur it would require treatment with antibiotics and regular dressing changes. If you have any problems or concerns, please telephone The Wentworth Clinic on 01202 428773, or 01202 422171 for advice. How Much Does Ear Correction / Otoplasty Surgery Cost? Ear Correction Surgery or Ear Reshaping Procedures at Wentworth Clinic start at £2250. You’ll first need to undergo an initial consultation with our trusted Plastic Surgeon who will then have a better understanding of what ear surgery is required. Contact our helpful Wentworth Clinic staff to arrange your consultation today.